Now there is somebody who knows what’s up. Still on the green side of the grass? Check. 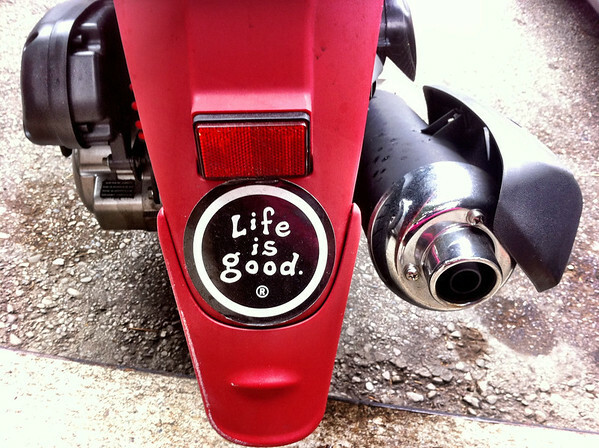 “Life is Good” is a registered trademark? What’s the world coming to…. Scooters totally rock! I have been riding for eight months and have passed my learner’s permit. I have registered for the novice motorcycle course and traffic course. My scoot will always have a special place in my heart, she has opened a whole new world for me.